Kamen Rider Wizard (ä»®é¢ãƒ©ã‚¤ãƒ€ãƒ¼ã‚¦ã‚£ã‚¶ãƒ¼ãƒ‰ Kamen RaidÄ UizÄdo?) is a Japanese tokusatsu drama in Toei Company's Kamen Rider Series, being the fourteenth series in the Heisei period run and the twenty-third overall. 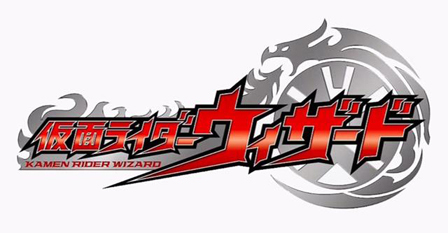 Trademarks on the title were filed by Toei in June 21, 2012. It began airing on September 2, 2012, joining Tokumei Sentai Go-BustersIcon-crosswiki and then Zyuden Sentai KyoryugerIcon-crosswiki in the Super Hero Time line-up following the finale of Kamen Rider Fourze. With Wizard finished, Kamen Rider Gaim joined Kyoryuger as part of Super Hero Time. Tsuyoshi Kida is the series' main screenwriter.